Everyone like pop music for a reason – it’s awesome. Remember the first time you logged onto Facebook and your friend is raving about the new Despacito song? If you’re anything like me, you REALLY didn’t want to like it. You wanted your tastes to be refined and “different” from the masses. But then, you hear the hook and the catchy beat pulls you in. Before you know it, you’re singing along, bobbing your head and imagining yourself on the beaches of Puerto Rico. The song ends and you’re now a convert. Feeling the urge to tell the world, you jump onto Facebook to proclaim, “Despacito is absolute fire, 100, 100!” Only after hitting submit, do you realize that you just told your 500 closest friends that you are in love with a Justin Beiber song. Noooooo! Throughout our trip, we’ve heard people wax poetic that, “once you enter the Yosemite Valley, it just opens up and awe comes over you” OR, “half dome is magical,” OR, “the hiking is epic” or “the water from Yosemite Falls will cure cancer.” I refused to believe that Yosemite could be as good as everyone says it is and that these were just lofty platitudes from a bunch of Californians. Well, after visiting, I’d have to agree with all of these statements with one exception – Half Dome is mystical, not magical. Even with massive crowds (most of the parking fills up by 10am), it’s worth the visit and then some. Adding to the fun, our good friends from DC flew in with their two kids. Having buddies for E = less work for us! Also, I love my wife, but after nearly 4 months of traveling, it’s nice to have adult conversations with other adults. I’m guessing she’d agree! 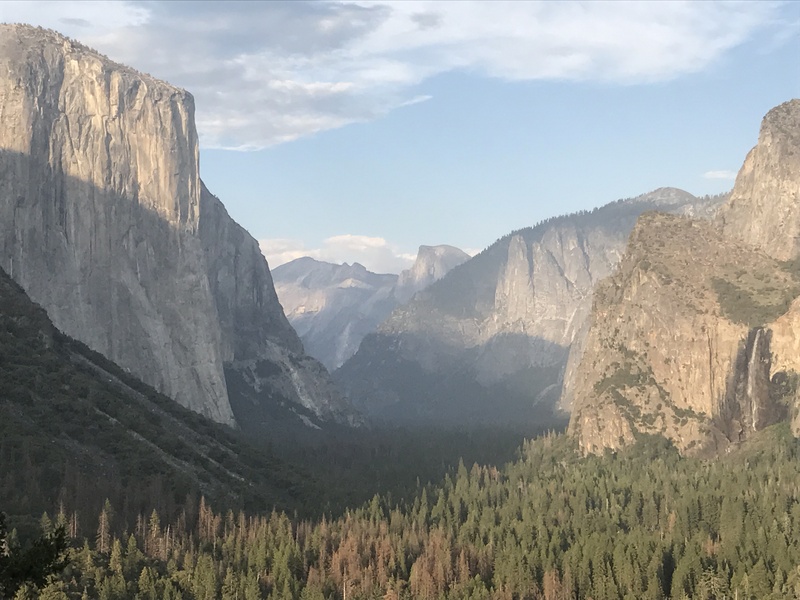 Overall, our 3 days in Yosemite consisted of chilling out in the Valley, hiking the Mist and John Muir trail, checking out massive Sequoias, drooling over Half Dome, hiking up to Yosemite Falls and drinking good wine after the kids went to bed. Absolute fire, 100, 100!